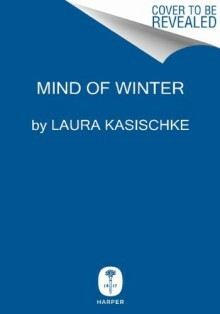 Laura Kasischke, the critically acclaimed and nationally bestselling poet and author of The Raising, returns Mind of Winter, a dark and chilling thriller that combines domestic drama with elements of psychological suspense and horror—an addictive tale of denial and guilt that is part Joyce Carol Oates and part Chris Bohjalian.On a snowy Christmas morning, Holly Judge awakens with the fragments of a nightmare floating on the edge of her consciousness. Something followed them from Russia. Thirteen years ago, she and her husband Eric adopted baby Tatty, their pretty, black-haired Rapunzel, from the Pokrovka Orphanage #2. Now, at fifteen, Tatiana is more beautiful than ever—and disturbingly erratic.As a blizzard rages outside, Holly and Tatiana are alone. With each passing hour, Tatiana’s mood darkens, and her behavior becomes increasingly frightening . . . until Holly finds she no longer recognizes her daughter.